62 Burrstone Rd. New York Mills, NY. | MLS# 1801910 | Benn Realty LLC -Since 1968, and now with offices in Old Forge and Remsen to serve you better. This well maintained 2 family home is move in ready! Downstairs apartment has 2 bedrooms, large living room, kitchen, and full bath. Upstairs apartment has 3 bedrooms, kitchen, dining/living room combo, full bath. 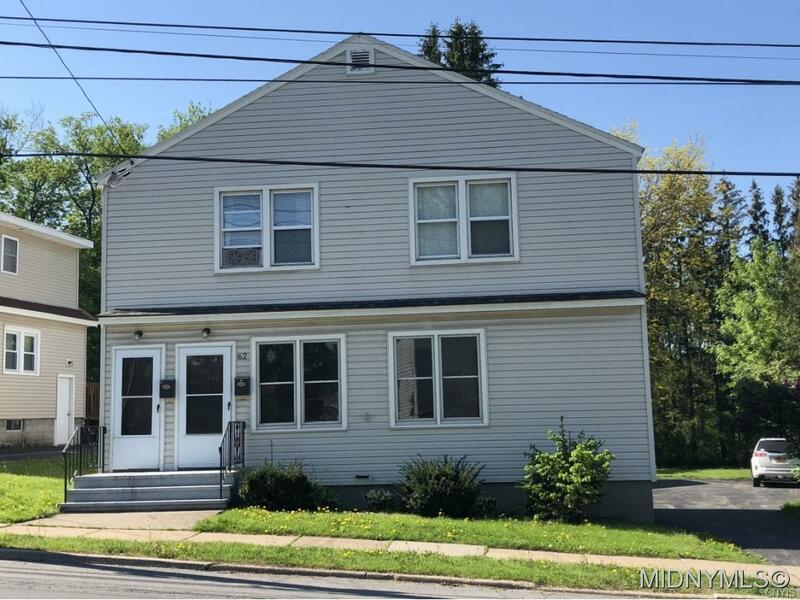 New paint, Refinished hardwood floors, newer vinyl siding, double boilers, updated electric, two electric and water meters, and dual front and back entrances. A full basement, detached 2 stall garage, and a large yard with a huge extra lot make this a great investment! Don't wait!